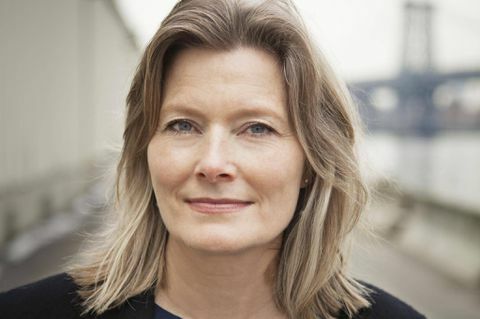 Jennifer Egan is the author four novels – including A Visit from the Goon Squad, which won the Pulitzer Prize for fiction in 2010 – as well as the short-story collection Emerald City. Egan's new historical novel, Manhattan Beach, about a young woman working at the Brooklyn Naval Yard during the Second World War, arrives in bookstores next week. Edith Wharton's, in her New York novels, because they manage to be smart, rhythmic, funny, ironic and sincere – all at once. Well, the worst advice was: "Write what you know." If I'd listened to that, I would be a doctor or an anthropologist today – either of which could have been a great alternate life. For me, writing fiction is a process of imagining my way into what I don't know. Which historical period do you wish you'd lived through? Classical Greece – but as a man! I deeply disliked Wuthering Heights – I found the people lugubrious and silly. Of course, I might feel quite differently about it if I reread it now; reading is like that. So chemical, and so influenced by appetite. Gatsby. He is the quintessential self-invented American. I'm a sucker for characters who overcome difficult odds. So … someone like David Copperfield. I'm amazed that people continue to find new questions to ask me – especially as I am a shy audience member, and usually very hesitant to ask a question of other writers in public. Ah, hard choice! I think I'd have to go with time travel, because I'm so deeply curious to know what people were like in other eras – how they lived and moved and spoke. One thing about becoming middle-aged is that I'm edging closer to invisibility. You might think that would bother me, but actually I adore it; I'm able to watch and eavesdrop much more than I could as a younger woman. It's heaven. Well, having just gone through three sets of page proofs, I'm vividly aware of what words I abuse: amaze, mesmerize, pulse, shock, stun, twist, thrill. Not sure what those say about me. The words I most like to use in sentences are ones I haven't used in a while. A few recent ones were: cavalcade, primitive and degenerate. Most fun of all is forcing words into parts of speech they weren't intended for: "basementy," or holding someone in "weary revile." Repeating myself. When I feel I'm doing something I've done before, I remind myself seriously that I don't have to write fiction forever. I think Trollope is generally underappreciated, at least in America. I'm finally getting to his books now – the Barchester series – and I'm staggered by their relevance. I can't think of another writer so avowedly focused on power and money and how they shape human relations. He's dynamite! If aliens landed on Earth, which book would you give them to teach them about humanity? Anything by Tolstoy. He balanced human grandeur and pettiness so beautifully. Which books haven't you read that you feel you should? I still haven't read Robert Musil's The Man Without Qualities. I have a beautiful edition of it, but somehow I never seem to crack it! Maybe I'll try it as an audiobook.